Last month Easirent rolled out a company-wide exercise to install brand new Signature Pads in all its’ branches in an effort to move from paper check-out sheets and signed forms to paperless technology. Waiting times at the busier branches were reaching an all-time high and the business was starting to receive negative feedback for the amount of hard copies and signed forms that were required on arrival – particularly when arriving to the airport after a long or difficult journey. 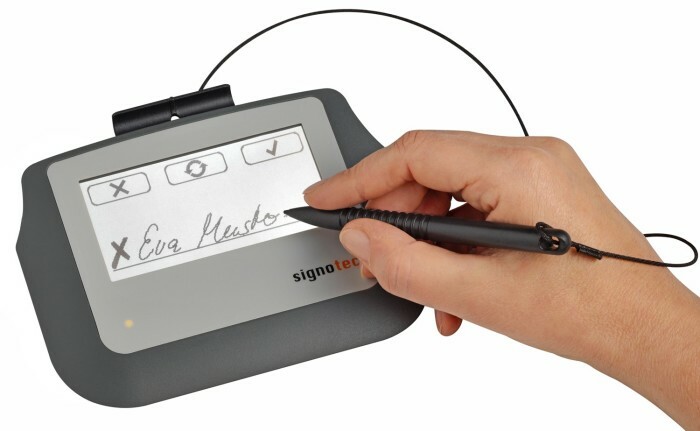 As an already environmentally-aware company, the MD decided it was time to go paperless and create a ‘greener’ way to run a Rental Business with SignoTec’s latest recording technology, hooked up to the computers at each rental desk. The installation took place in April with Easirent’s Tech Team visiting all around the country to ensure the systems were running smoothly and training staff adequately. Since the company has released a statement promising to cut CO2 emissions in 2015 and 2016, a number of Hybrid and Electric vehicles have been added the the fleet. Online marketing campaigns began running at the start of 2016 to encourage customers to be aware of their fuel usage, mileage and output when choosing their hire cars. Plus discounts being offered for customers driving in a ‘Greener’ car have proved successful. Now with the help of SignoTec, Easirent has moved its’ branches to a paperless operation reducing waste, saving on paper and smoothing out a necessary part of Car Hire.